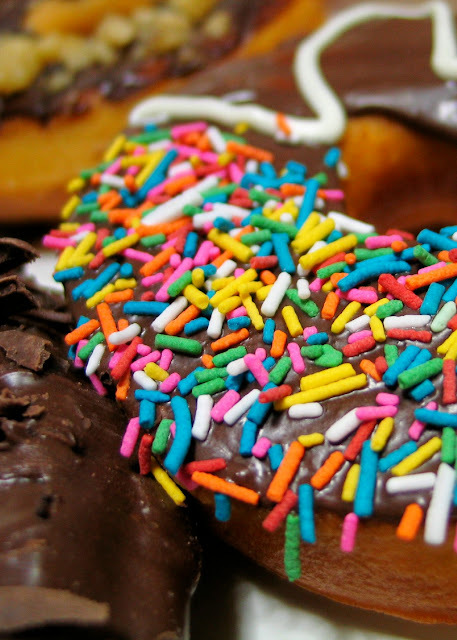 Maybe it's just me, but the doughnuts that I buy from a Dunkin Donuts Cafe taste different than those I can buy from the regular Dunkin Donuts shops. There are two branches of this cafe I know of- one is found in The Power Plant Mall and the other in SM Mall of Asia. 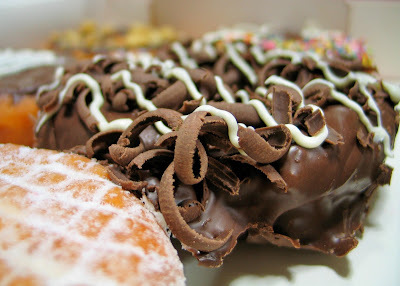 The ones in the cafe are, to say the least, better tasting and have a soft yet dense and creamier texture than the usual Dunkin Donut doughnuts which are airy and chewier. They cost a whole lot more, too. 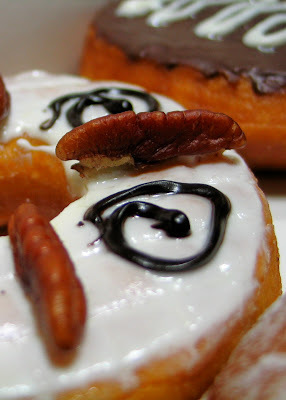 The cafe's premium doughnut cost Php32 each while the extra premium ones are sold for Php40. Pretty steep, considering the ones you get from the regular Dunkin Donuts stores hover only around the Php10 price range. Although in my case, I don't mind shelling out a few more bucks to get better quality doughnuts. O, and Dunkin Donuts Cafe's Choco Wacko costs Php55 a pop. I used to buy this on a regular basis back in college. 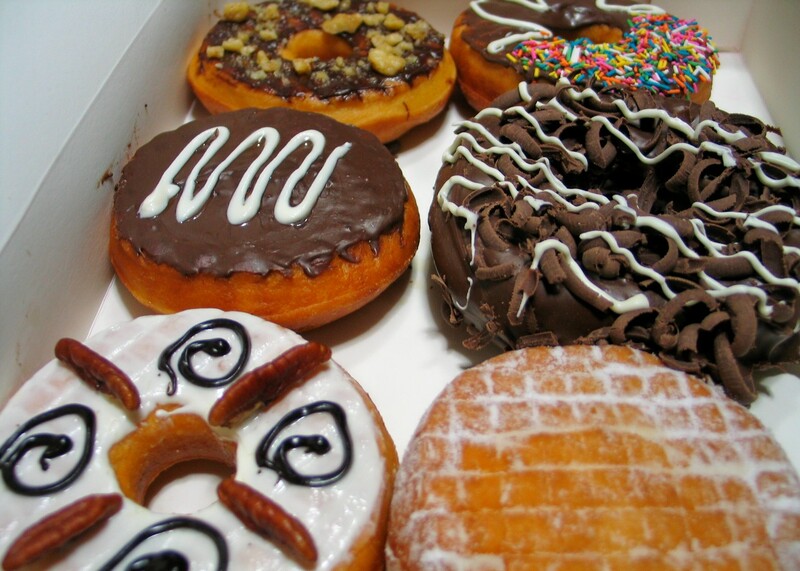 (There was a Dunkin Donuts shop at the station where I would get a jeepney ride to the campus. Victor, a friend of mine, used to love these things and she was the one who introduced them to me. I got hooked on them ever since.) The regular Choco Wacko sells for only Php30 for a pair. 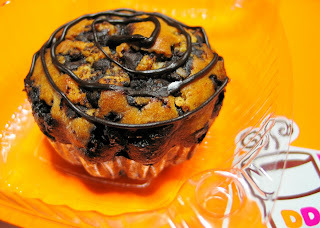 Yes, the cafe's Choco Wacko tastes different from its cheaper cousin, but it looks heck of a lot more impressive, too. 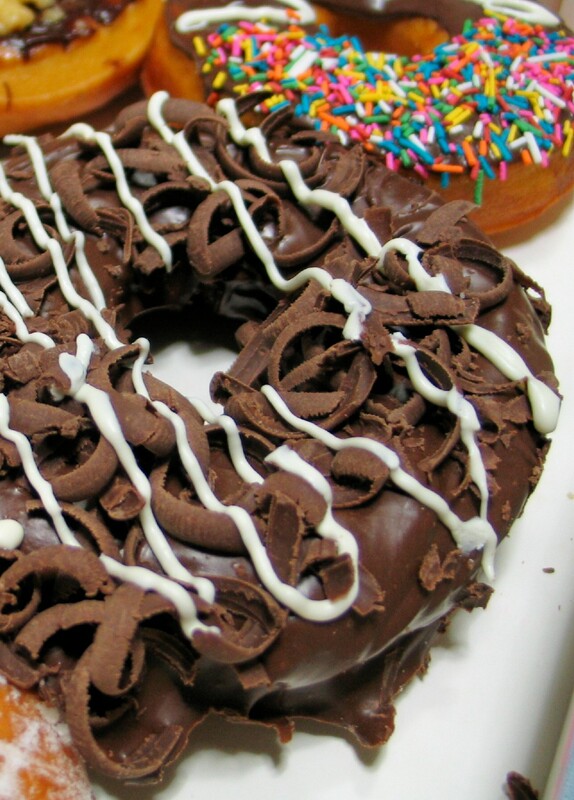 As if the thicker layer of chocolate isn't enough, Dunkin Donuts Cafe's version of the Choco Wacko is sprinkled with shavings of chocolate and for a pretty touch, it's drizzled with icing. The whole package is pretty eye-catching. In fact, it looks too awesome to eat. sinful food. I can almost feel how much they grease up my bloodstream. Not very scientific, I know.